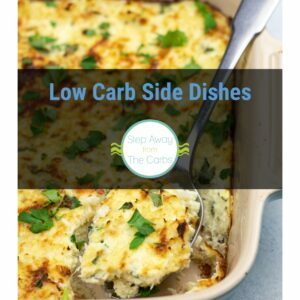 Here are over 14 recipes to make some tasty low carb cauliflower mash! Replacing mashed potatoes with mashed cauliflower is a standard in low carb dieting. My usual method for making the mash is to boil or microwave steam the cauliflower, then mash it with cream cheese, heavy cream, or something similar. My basic recipe also includes horseradish, but you could replace that with mustard, herbs, cheese… and more! 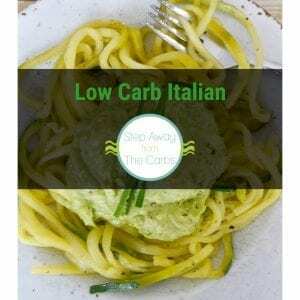 You could also make it in the slow cooker – see this recipe from Keto Adapted! So here are some gorgeous and delicious dishes from this site and some of my favorite sites! 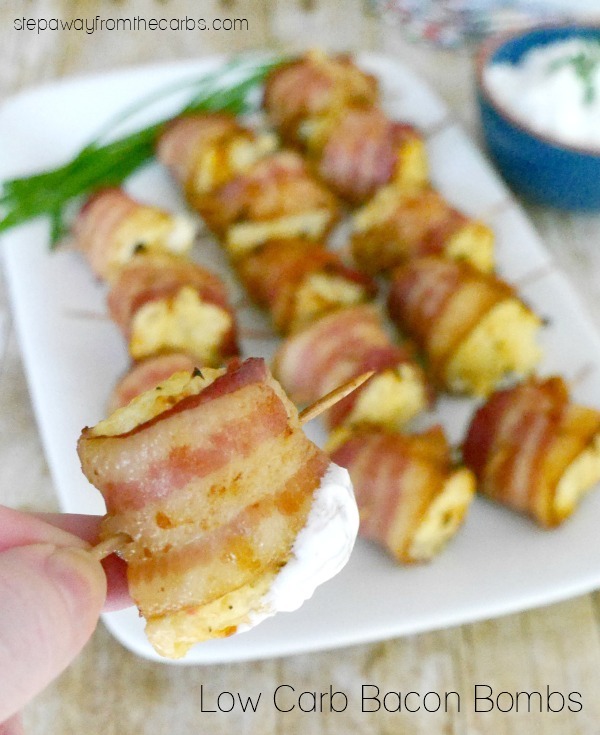 These bacon snacks are stuffed with cauliflower – they are SO popular! Add in some cheese and spinach for a whole new take on mashed cauliflower. 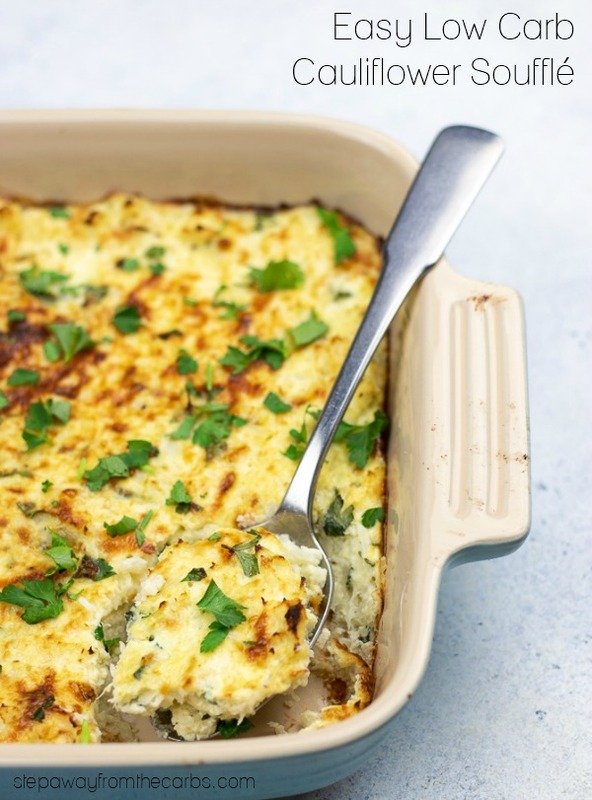 This cauli mash is smooth and creamy! Serve these stuffed mushrooms as a tasty appetizer! This cauliflower colcannon recipe is a low carb version of the Irish side dish, but uses cauliflower in place of the traditional mashed potato. 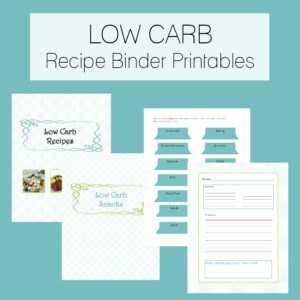 The classic British dish is given a low carb makeover! These individual low carb chicken pies are filled with spinach and a creamy white sauce, and topped with cauliflower mash! If you are a fan of buffalo chicken in blue cheese, try this buffalo chicken wings and blue cheese mashed cauliflower recipe. Mix the mashed cauliflower with some broccoli to create these tasty nuggets! A traditional Shepherd’s pie topped with delicious cheesy mashed cauliflower. One of the most popular side dishes on the blog – and it’s so easy! Roasted garlic cloves give this cauliflower mash flavor you wouldn’t believe! Do you have a favorite cauliflower mash recipe to add? Let me know in the comments!